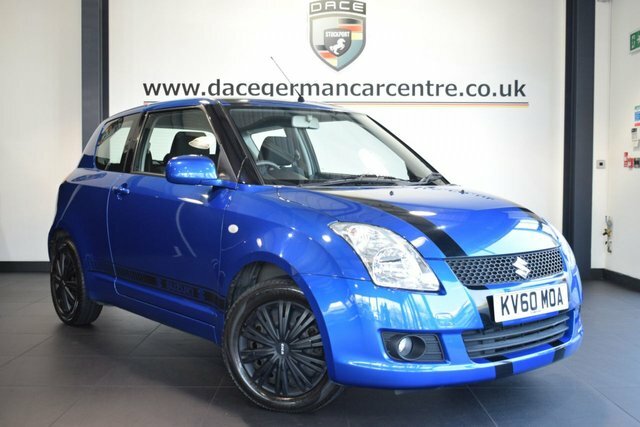 Discover your perfect used Suzuki Swift car at Dace Motor Company Ltd! If you are looking for a large or compact car, an upmarket or affordable design, a diesel, petrol, hybrid or electric engine, we have something for every driver on our forecourt near Stockport. Suzuki excels in the supermini and compact 4x4 sectors. The car maker's hatchback range features the economical yet good-looking Celerio compact and the Swift, and the Vitara is a great representation of Suzuki's dependable sports utility vehicles. Stockport is only a 20-minute drive away from our outstanding selection of used Suzuki Swift cars. Drive to Reddish, which is where Dace Motor Company Ltd is based.